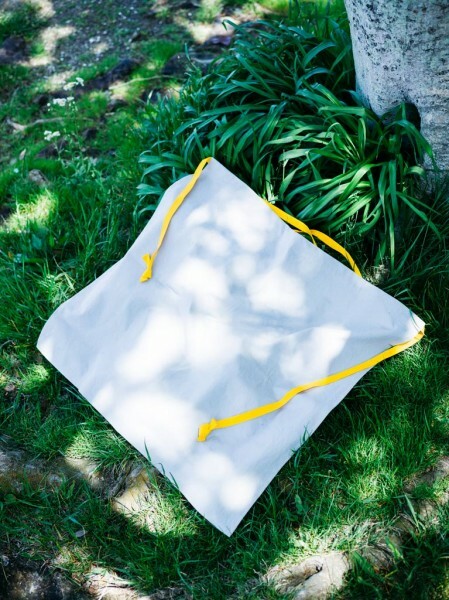 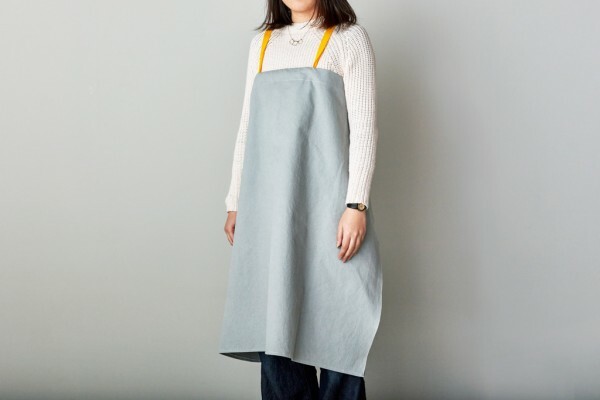 A square apron that takes advantage of the canvas edges. 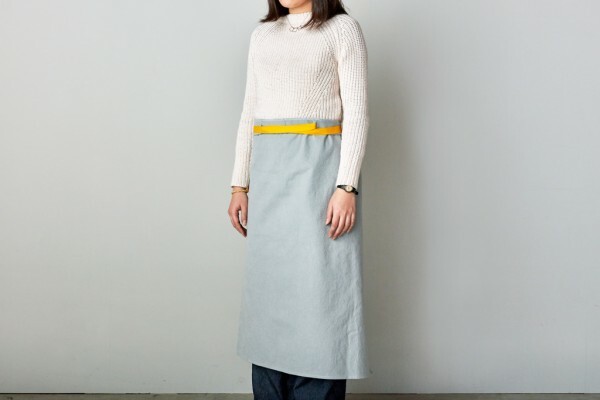 The simple shape features a direct cut of cloth on the top and bottom with a strap running through it; when the strap is loosened and the arms pass under, it works as a chest apron; when the strap is drawn and wrapped around the waist, it works as a waist apron. 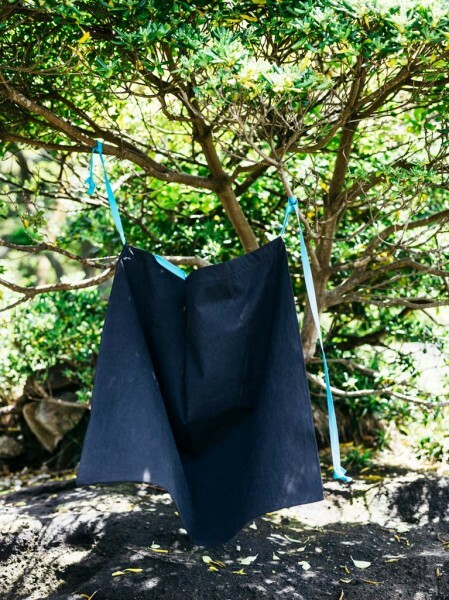 The firm cloth undergoes water-washable processing for a soft finish so you can enjoy the vibrant combination of the homespun cloth texture and colorful strap.